Barcodes – What are they and how do I get one for my Product? Zebras each have their own personal pattern of unique stripes, similar to how humans have their own unique fingerprints that sets us apart from everyone else. Barcodes also have their own unique and distinctive patterns in the retail world. When you want to sell your products through a large retailer, each product will have to have its own barcode. Barcodes – which are sometimes known as UPC symbols (uniform product code) are effective in tracking inventory as it allows both you and the retailer to keep track of number of products sold, and they link information through the chain of production, warehousing, distribution, sales and service. This can increase your proficiency and precision while enabling compliance with requirements from retailers. If you have products that will be part of a large retailing process, it is best to ensure that you comply with GS1 standards. GS1 is an international standards organization which provides globally used and recognized barcodes. They ensure that your particular codes are unique to only your business. Become a member of GS1 at http://www.gs1ca.org in order to obtain your product codes. Once you have your codes, it is best to have an internal software system to maintain your database of your products and their barcodes. Once this is done you will easily be able to integrate your barcode into the packaging or labelling of your product. In the design phase of your labels of packaging, we will come up with creative designs to ensure optimal placement of your barcodes. We show our customers how to avoid common problems like non-compliant barcodes, and barcodes that do not scan because of poor sizing, placement or legibility. 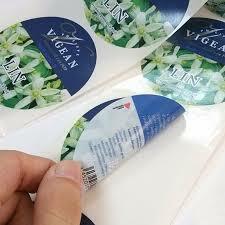 We will also help with the tricky art of placing barcodes on shrinksleeve labels. This helps you avoid mistakes resulting in retailer penalties or returned products that could end up being very costly for you. Another service we provide is service bureau imprinting of barcodes and sequentially numbered or static data. 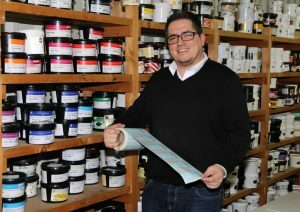 We not only have the equipment and the labelling software, but also the expertise to ensure we deliver high-quality and reliable labels that are guaranteed to scan with 100% compliance.